From both perspectives of being “strong” and “prosperous,” these moves by the new leadership were a gamble. Rhetoric that is not matched by visible accomplishments will reinforce perceptions of regime weakness and increase the risk of push-back from both domestic and international stakeholders. Indeed, the highly public failure of the missile launch was deeply embarrassing and has raised the ante for demonstrating military strength and competency through a possible nuclear test or provocation toward South Korea. On the other hand, the relatively mild response to the failed launch, coupled with the recently announced determination to seek an economic development strategy “on a scientific and realistic basis” under reinvigorated Cabinet leadership, could yield significant upside benefits of legitimacy for the new regime as well as tangible economic achievements. In this context, a path of deepening isolation and especially China’s potential responses to any further North Korean military provocations could have negative ramifications for the newly raised economic expectations. With so much at stake, the basic question is: Will the gamble on attracting significant foreign investment into the Special Economic Zones on the Chinese border and integrating this into a new economic development strategy succeed or fail? 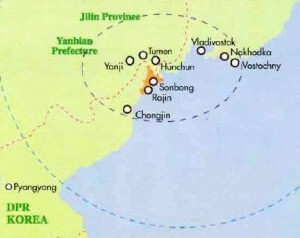 Since the Rason Special Economic Zone was established in 1993, laws governing its status have been amended six times. These amendments represent successive efforts to improve the incentives for foreign investors and traders in light of a disappointing history of realized investment, despite high expectations on North Korea’s part. This learning curve seems to be paying off at last, as both China and Russia have made significant infrastructure investments in road, rail and port facilities to take advantage of Rason’s ports, and cross-border transshipment has been rising. The latest revision of the Rason law as well as the first law governing the Hwanggumpyong and Wihwa Islands Special Economic Zone that was established last year, were approved by the Presidium of the Supreme People’s Assembly on December 3, 2011, shortly before Chairman Kim Jong Il’s death. Initial Chinese reaction to the passing of these laws was lukewarm, as further improvements were considered desirable. The publication of the laws on March 17, nevertheless, signifies continuity of the North Korean strategy to attract foreign investment and promote trade in these special economic zones, which is consistent with statements made during the early power succession period that Kim Jong Il’s economic policies would continue under Kim Jong Un. This continuity is not surprising, as Jang Song Thaek, Kim Jong Il’s brother in law, serving as the most senior North Korean representative in the joint committee with China that oversees the development of these two special economic zones, is viewed as an increasingly influential member of the inner circle supporting the transition to Kim Jong Un’s leadership. Along with the consolidation of Jang Song Thaek’s influence on economic policy directions in the new regime line up, the announcements made at the mid-April meetings of the Korean Worker’s Party and Supreme People’s Assembly suggesting a leading role for the Cabinet in guiding a unified economic development strategy, along with appointments of new high level economic officials in the Party and Cabinet, are harbingers of new policy and organizational initiatives in the months ahead. Particularly noteworthy is the expected merger of the independent Taepung Investment Group with the Cabinet Joint Venture Investment Committee. Streamlining investment promotion and approval authorities in conjunction with implementing the new foreign investment laws could make an important difference in getting deals done by reducing competition between different parts of the North Korean system and giving investors a clear understanding of their counterpart relationships in the new set up. The two laws have many common clauses, which demonstrate an effort to establish coherence in the policies that are being applied along the Chinese border. There are also some distinct differences, mainly reflecting varied expectations of the types of economic activity that will take place in these two significantly different geographical areas. Specifically, the Rason law aims to develop the zone “into an area of international transit, transport, trade, investment, financing, tourism and service,” and gives priority to high tech industry, international logistics business, equipment manufacturing, primary processing industry, light industry, service business and modern agriculture. The Hwanggumpyong and Wihwa Island law aims to contribute to “expanding the promoting [of] external economic cooperation and exchange,” and gives priority to information technology, light industry, agriculture, commerce and tourism. 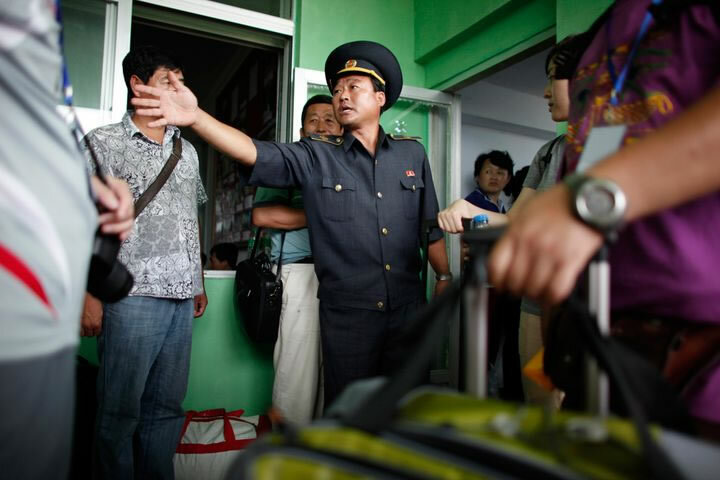 Rason’s geographic isolation from the rest of North Korea and the attractiveness of its port access underscore the vision for this area as mainly geared toward exports and servicing the interests of China and Russia. While backward linkages to the North Korean economy are permitted, the likelihood of any significant integration apart from mining is small, and the risk for contagion of liberalized market principles in the management of the zone is quite limited. The Hwanggumpyong and Wihwa Island zone on the other hand is situated next to the dynamic Chinese Dandong region and is close to the corridor that most actively links Pyongyang and southern areas of North Korea economically to China. Once the necessary infrastructure is in place in this zone, the potential for expanding backward linkages to the North Korean economy is quite good, both in supply of inputs for production or services in the zone and in producing goods in the zone for sale in North Korean markets. The potential for liberalized market contagion is thus also much greater, and how North Korea handles this risk as the zone develops will be instructive to watch. Three features of these laws are particularly noteworthy. One is that they provide incentives and protections that go a long way to addressing risk concerns of investors. Second, they permit investment and trade with foreign countries, not limited to China and Russia, and explicitly mention the right of Koreans residing outside of North Korea to do business in the zones. Third, the administrative apparatus for approvals and management of the zones is described in considerable detail, which indicates close attention to practical issues that are important for investors in implementing the laws. Dispute resolution by four methods: settlement, mediation, arbitration, and courts. North Korea does not have a good reputation in honoring contracts, and surveys of Chinese investors and traders with North Korea have documented both the risks they face and mitigation strategies that have been adopted by those choosing to invest and trade. Whether the new rules will fundamentally alter the culture of doing business with North Korea will be the test not only of the adequacy of these laws, but also the intentions and ability of North Koreans to overcome their reputation as exploiters and cheaters. Recent developments in Rason in realized infrastructure investments suggest that the tide may, in fact, be turning on this issue. The second notable feature of the new laws is the opening of the special economic zones to countries other than China and Russia. This not only raises the expectation that North Korea will honor genuine international standards and practices, but also the prospect of eventual Japanese involvement in the Rason zone and South Korean investment in both zones, when transport and energy infrastructure are in place and political conditions permit. Early discussions of a possible China-South Korea free trade agreement are already addressing this possibility. Involvement of Japan and South Korea in the special economic zones would be a significant indicator of the potential for pursuing regional economic integration, not just cross-border economic cooperation. The detailed delineation of the management of the zones in the new laws includes a clear articulation of principles to be followed as well as the roles and responsibilities of the central guidance authority for special economic zones, local People’s Committees, and management committees established for the zones. This level of detail and the parallelism that has been adopted in the arrangements for management of the two zones represents a significant advancement over previous versions of the law governing Rason. It also reflects a high level decision to strengthen the underlying institutions needed for successfully attracting foreign investment and for implementing the new laws effectively. Certainly these provisions strengthen the credibility of the new laws from the perspective of potential investors. Even so, doubts will remain about North Korean willingness and ability to abide by their own new rules until tested by experience. The stakes are high because failure to do so will be very visible to all concerned and will undermine the credibility—and perhaps perceived legitimacy—of the regime in Pyongyang. The laws established for the two special economic zones on the Chinese border also represent a marked departure from the model of economic cooperation that is in place in Kaesong on the border with South Korea. Noteworthy differences are the possibility for various business models in the new economic zones, including joint ventures that are not presently allowed in Kaesong, more reliance on tax incentives, legal protections and managerial discretion, especially regarding labor to attract investors, and allowed use of various currencies. While bilateral economic cooperation between the two Koreas is subject to political pressures from both sides, the Kaesong Industrial Complex has withstood severe strains in recent years and has potential for further expansion under the new South Korean administration that will be elected in December 2012. Whether the more liberal provisions that have been adopted for the economic zones on the Chinese border will find their way into future evolution of the Kaesong zone, will be an important question to monitor over the next couple of years. Still basic questions remain: Will the new laws adopted for the Rason and Hwanggumpyong and Wihwa Island special economic zones catalyze future changes in the North Korean economy? Will foreign investment and trade increase through these zones? Will North Korea earn significant foreign exchange that is used for more productive purposes than simply lining the pockets of the elite in Pyongyang? Will backward linkages to the domestic economy, acceptance of more liberal market economy principles, and strengthening of institutions for managing external economic cooperation, help North Korea to become a more “normal” country? Or will North Korea retain its reputation for over-control, corruption, and failure to realize its aspirations by the inner circle of the regime trying too hard to have its cake and eat it too? We shall see. “Kim Jong Un Call for Holding Kim Jong Il in High Esteem as General Secretary of the WPK Forever,” Rodong Simun, April 20, 2012. For text of the Hwanggumpyong/Wihwa Island Law see http://www.nkeconwatch.com/nk-uploads/Law-on-hwanggumphyong.pdf (2011). For text of the Rason Law and previous versions, see http://www.nkeconwatch.com/nk-uploads/Law-on-Rason.pdf (2011 rev. ); http://chosonexchange.org/?p=1472 (2010 rev. ); https://www.38north.org/wp-content/uploads/2012/05/Rason-2002-Law-Revision.pdf (2002 rev., in Korean); https://www.38north.org/wp-content/uploads/2012/05/Rason-1999-Law-Revision.pdf (1999 rev., in Korean); and https://www.38north.org/wp-content/uploads/2012/05/Rason-1993-Law.pdf (1993, in Korean). See Andray Abrahamian, “A Convergence of Interests: Prospects for Rason Special Economic Zone,” Academic Paper Series, Korea Economic Institute, February 24, 2012; “Chinese businesses pour into N.Korea’s Rajin-Songbong,” Chosun Ilbo, February 26, 2012; “China secures right to use 3 piers to be built on N Korean port for 50 years,” Yonhap News, February15 , 2012; and “N. Korean Business Zones to be included in FTA with China,” Chosun Ilbo, February3, 2012. “Top Official Says Kim Jong Un Ready to Lead,” Associated Press, January 17, 2012. See Drew Thompson, “Silent Partners: Chinese Joint Ventures in North Korea,” US-Korea Institute at SAIS, February 2012; and Stephan Haggard, Jennifer Lee and Marcus Noland, “Integration in the Absence of Institutions: China-North Korea Border Exchange,” Working Paper 11-13, Peterson Institute for International Economics, August 2011.